San Francisco Considers Pet Sale Ban that includes Birds and Hamsters! San Francisco city council is considering a bold move to include small animals like birds and hamsters in their ban to stop the sale of animals in pet stores. Check out the articles from USA Today. We are so lucky here in the Vancouver area to have Greyhaven Exotic Bird Sanctuary . 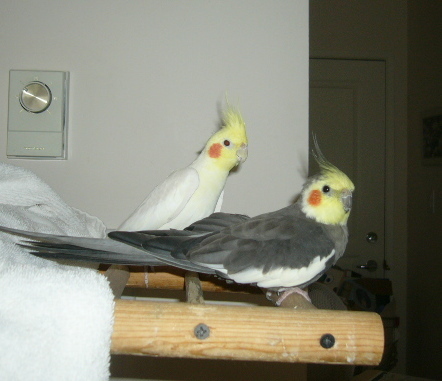 Left is a picture of Pepper and Jamais – two cockatiels that are awaiting adoption. Check out all the birds for adoption from Greyhaven. Yesterday was a special day for animal welfare and especially in Canada. First, Catolina, Spain banned the cruel practice of bull fighting. Yeah for Spain! A World Cup and this! Well done! But even better was the bold move made by Global TV in producing and presenting the television documentary REVEALED: No Country for Animals. Global TV Anchor Kevin Newman partnered with director Karen Pinker (Canwest and 90th Parallel Productions) to tell the truth about puppy mills and the horrific conditions for farm animals in Canada. Maybe Canadians will step up to the plate and say no to institutionalized animal cruelty. Three Cheers, a Meow and a Woof for Austin Texas! Three cheer for activists and city councilors in Austin Texas for taking taking a great step to propose the ban of the sale of puppies and kittens from pets stores. This move comes as the city is trying to convert their municipal animal shelter into a no-kill operation. See the news article. Here in Richmond we already have a no-kill shelter because of a few dedicated individuals spend their days and night making that happen. Luckily, the Richmond Animal Protection Society has many supporters of their no-kill policy that make no-kill sheltering possible. However, currently that shelter is at capacity and selling more animals in Richmond is just unethical. We can’t put more pressure on our no-kill municipal shelter by ignoring their pleas for population control. I recently wrote an article on the animal overpopulation issues in Richmond and the logic of selling animals at all. See that post. When I read this letter, I was confused if PIJAC was actually responding to my column on the issue of animal overpopulation in Richmond. Then I realized the purpose of this letter was not to clear up mis-conception about pet stores or deny there is an over population problem in Richmond, but to reassure the public that they don’t need to be concerned about these issues because PIJAC is going to conference on it on October. It seems this letter was meant to make the public think there isn’t a problem with animal welfare and homelessness in Richmond because PIJAC has it under control. I assure you, this is not the case. 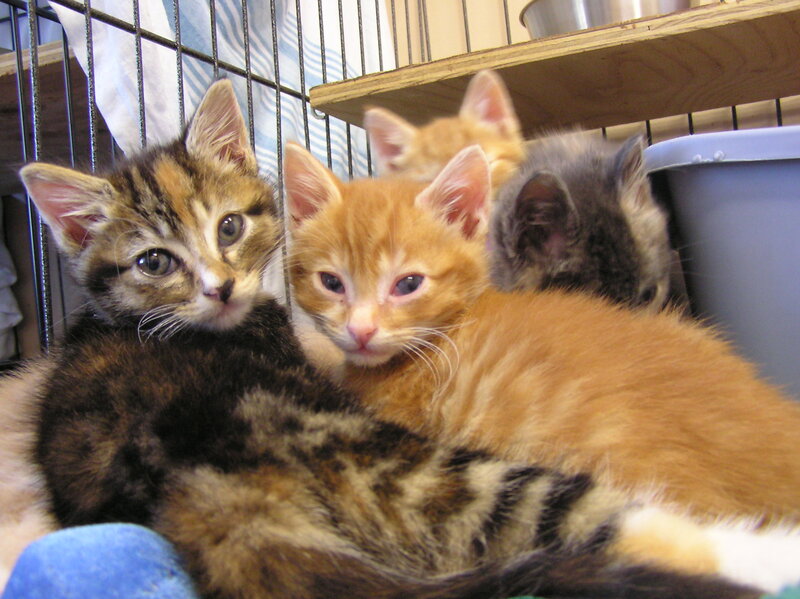 All you have to do is visit the Richmond Animal Shelter (currently housing over 100 animals), the Richmond RAPS Cat Sanctuary (currently housing 900 homeless cats) and the BC SPCA (currently caring for over25 animals in Richmond alone) to see that animal overpopulation is not going to be solved by denying the problem. I appreciate that PIJAC provided statistics in their letter including the point that “49 per cent of cats and 32 per cent of dogs in Canada were acquired from outside the industry”. 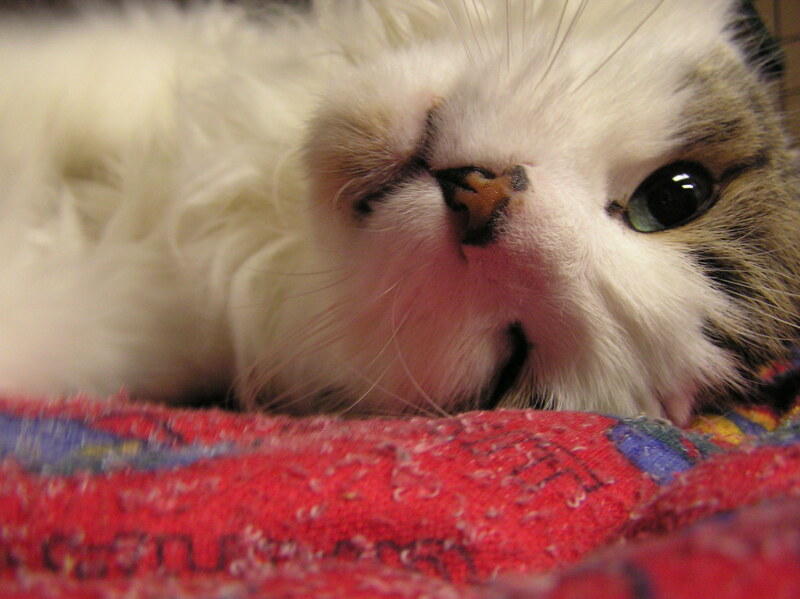 That means that 51% of cats and 68% of dogs are coming from the pet industry! This isn’t a surprise to rescue workers in Richmond. At our last City Council meeting on this matter I presented council with a stack of receipts from local pet stores that were handed over when those customers surrendered their pets to the Richmond Animal Shelter. So it’s really no surprise that our overpopulation and abandonment issues are partially fed by animals sold through the pet industry. Actually, that was not the assumption at all or the stated purpose of asking council to consider the ban on the sale of animals. The point of the ban was to stop the impulse purchase of animals that keep quickly ending up surrendered at the Richmond Animal Shelter, being locked up as ‘garage dogs’ or abandoned to the streets of Richmond. A ban on the sale of animals in pet stores is simply meant to stop demand for puppy-mill style breeding and to prevent the impulse purchase of animals in a city that already has too many homeless pets. I looked into aforementioned Summit on Urban Animal Strategies being to be held at the Fairmont Chateau Lake Louise in October. Unfortunately, representatives of the RAPS and BC SPCA are not allowed to attend the event because, according to summit website, participation in the summit is by invitation only, and attendees are invited by the event’s selection committee. Perhaps PIJAC would like to give us a report on the conference when they return? In the meantime, RAPS and the BCSPCA and many other rescue groups in our area will have to continue advocating to stop the sale of animals in pet stores and educating the public that puppy-mills are simply unacceptable, because, yes, Richmond animal services really do want to make a difference and they can’t wait any longer. If you are aware of puppy-mill style breeding in a home or farm or an animal in poor or inhumane conditions, please call the BC SPCA at 604-879-7343 or the Richmond Animal Protection Society at 604-275-2036. Doris Lin, a graduate of MIT and the Southern California Law Center writes a wonderful blog on animal rights laws. It’s worth checking out! See this link. 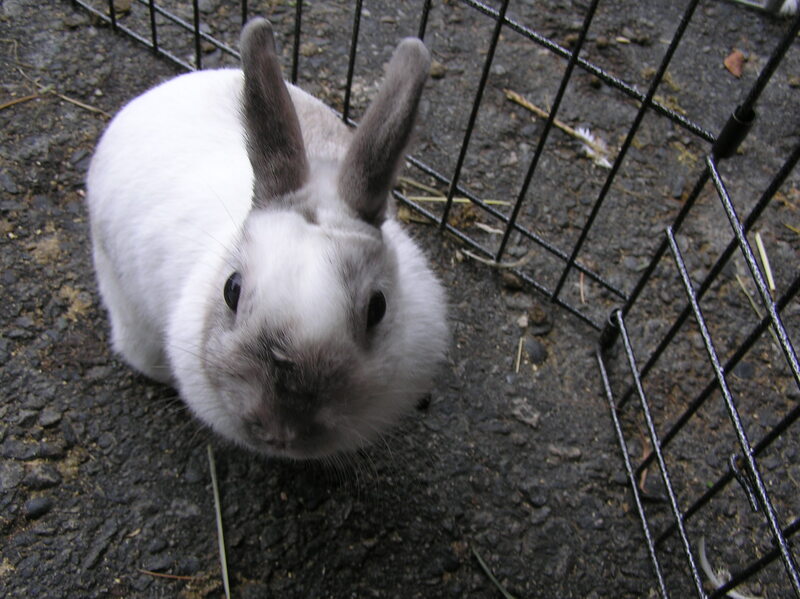 Also, check out her coverage of the rabbit ban in Richmond, BC. Photo (left): Barley before he was adopted from the Richmond Animal Shelter (2007). As a new immigrant to Canada, Sophie appears to have high hopes for the future. And rightfully so. This purebred Corgi came from some of the worst conditions in Taiwan – a puppy mill where she was forced to live in horrible conditions and her puppies were sold in pet stores for profit. Her journey to Canada started when she, and the 500 other dogs in the puppy mill, were rescued by volunteers in Taiwan. Sophie was in horrible condition, and she has little fur left from an untreated skin condition. But recently, Sophie arrived in Canada under that careful and thoughtful administration of the Richmond-based volunteer group, Ocean Dog Rescue. This group of dedicated animal lovers works with animal rescuers in Taiwan to arrange over-seas adoptions of Taiwanese dogs in need of homes. Beginning in 2008, Richmond resident Joanna Y.T. Chang decided to meet the extreme challenge to help find homes for the multitude of dogs living on the streets of Taiwan. She searched for an overseas rescue and adoption group between Canada and her homeland in Taiwan, but none existed. Chang decided the need was too great to ignore – so she and a group of volunteers started Ocean Dog Rescue themselves. 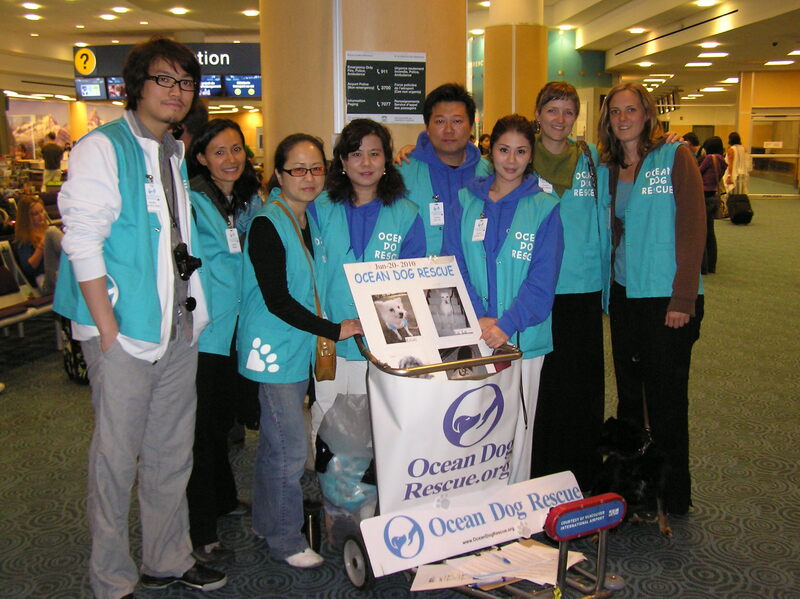 I went to meet Joanna Chang and the Ocean Dog Rescue volunteers at the Vancouver Airport on a Sunday night. Chang had emailed me that four dogs were arriving from Taiwan that evening, and I could come to welcome them. Three of the dogs, Lulu, Gogi and Kristi already had adoptive families arranged through Ocean Dog Rescue, and the new families were also there to meet them at the airport. Sophie had a foster home waiting. Everyone was very excited. Lulu, a beautiful yellow dog with bright ears and a curly tail, had been found on the streets of a Taiwanese city with the skin of her upper muzzle almost falling off her skull from a deep cut over her entire nose. Luckily, volunteers in Taiwan got Lulu the help she needed. Her condition required two surgeries to reattach her lips. 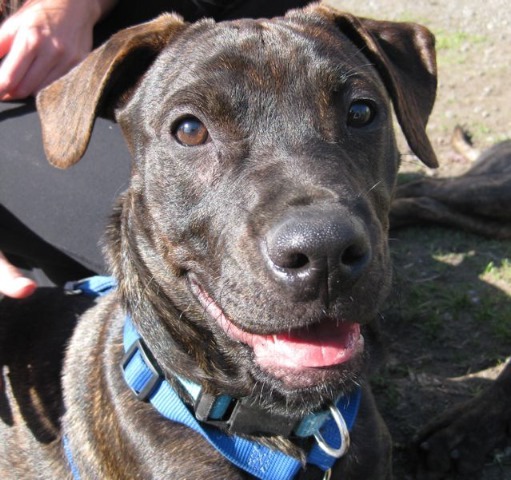 But her new family in Richmond was eagerly waiting at YVR that night. 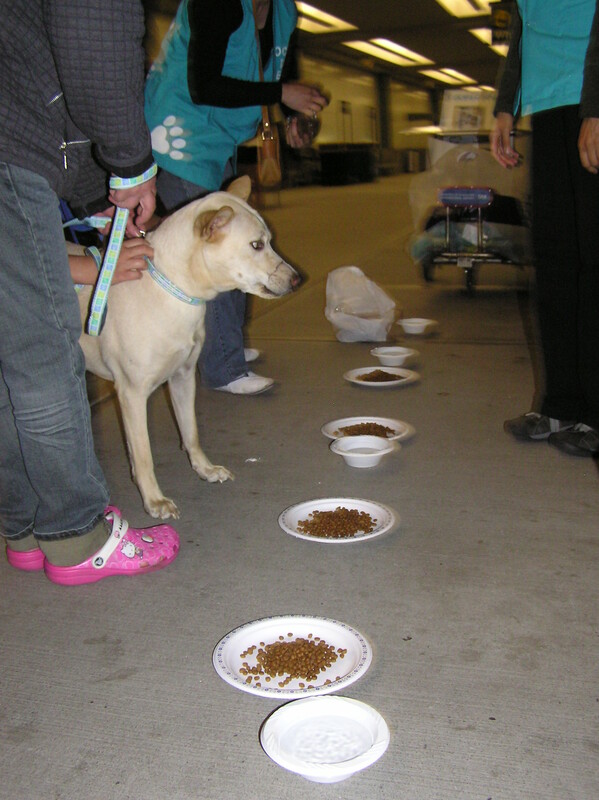 Overseas dog option is not an easy task, but the Ocean Dog Rescue volunteers had the organization skills to rival a precision flight team. Chang and her team arrived at the airport wearing blue vests so all the parties could easily identify them. Prior the flight, a volunteer passenger traveling from Taiwan to Vancouver is found so that dogs are transported with him on a passenger aircraft. Upon the dogs’ arrival the rescue volunteer sprung into action. Four plates of food and four water bowls were quickly lined up on the curb and all four dogs were brought out of the kennels and calmly welcomed. Lulu and Sophie were ready for some food, but also couldn’t wait for a hug, kiss or tummy rub as well. Soon all adopted dogs were ready for one final trip to their new home, and they headed on their way with their new families. Sophie went to a foster home with one of the Ocean Dog Rescue volunteers till just the right permanent home is found. But even after her adoption she will continue to be part of the Ocean Dog Rescue family. If for any reason these dogs cannot stay in their newly adoptive home, they will always and forever be cared for the volunteers at Ocean Dog Rescue. “These dogs have been through so much, so we ensure that they never to go through that again”, said Chang. As I drove home from the Vancouver Airport late that night, the most prominent thought in my head was a quote from Margaret Mead who said, “Never doubt that a small group of thoughtful, committed citizens can change the world. Indeed, it is the only thing that ever has.” Ocean Dog Rescue is definitely changing the world for dogs and people here in Canada and on the other side of the world in Taiwan. To donate to, adoption from or volunteer with Ocean Dog Rescue, please visit their website at http://www.ocean-dog-rescue.org/. Christie Lagally is a volunteer pet columnist.